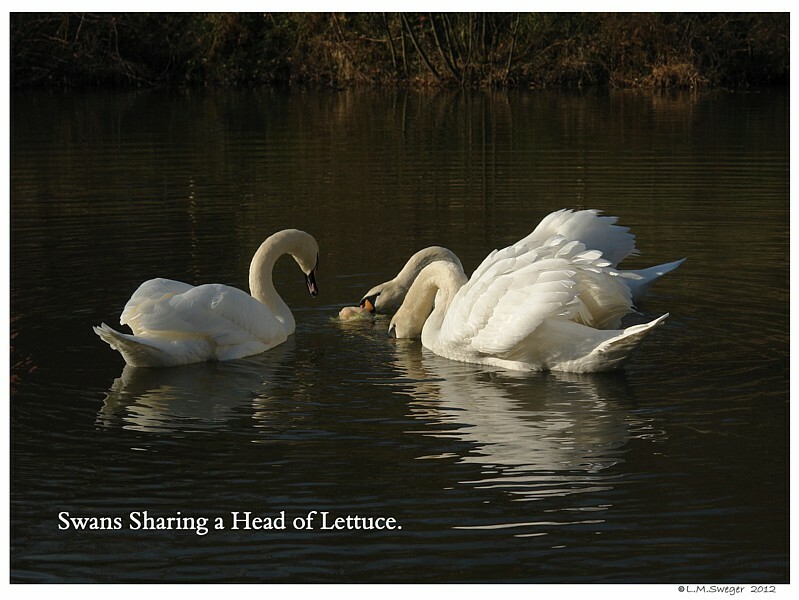 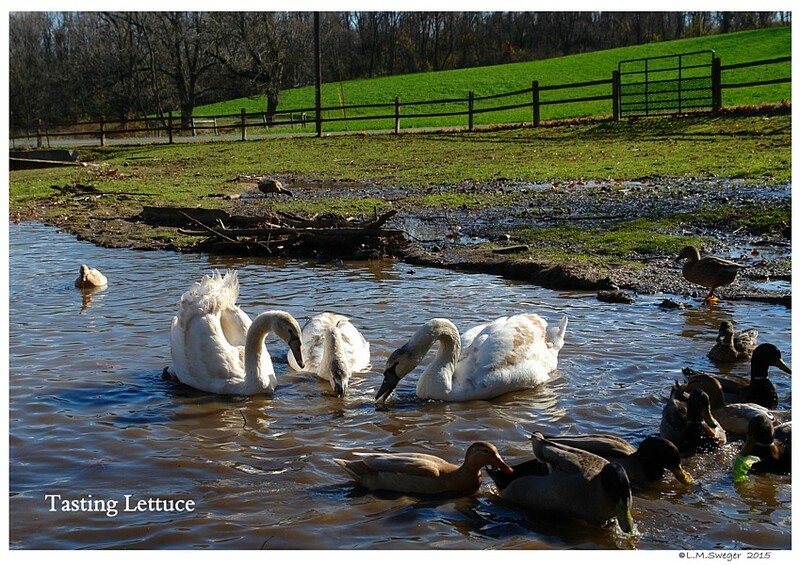 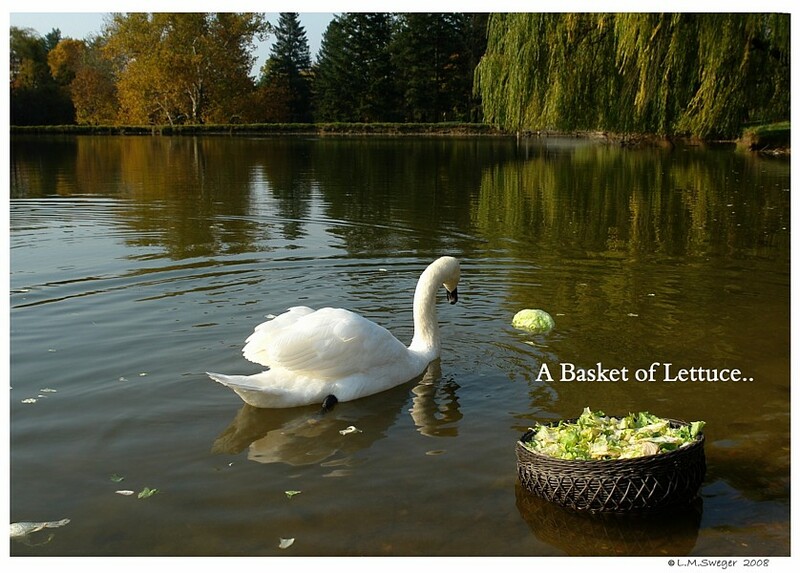 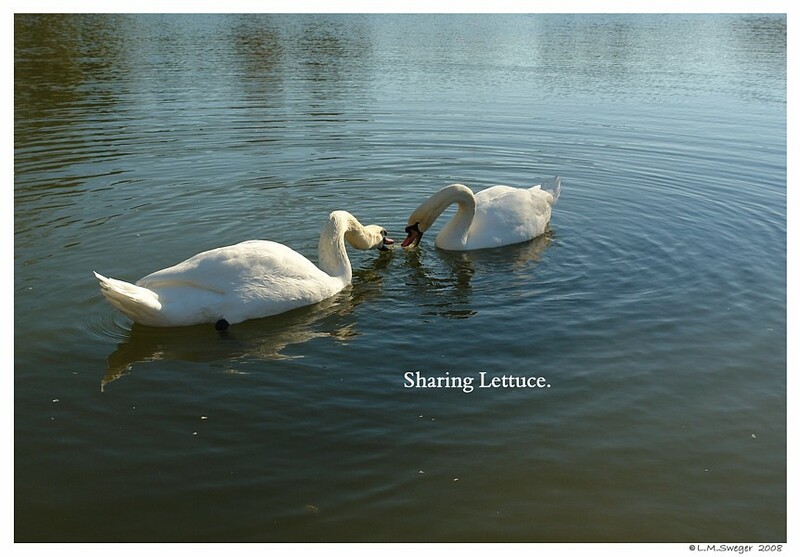 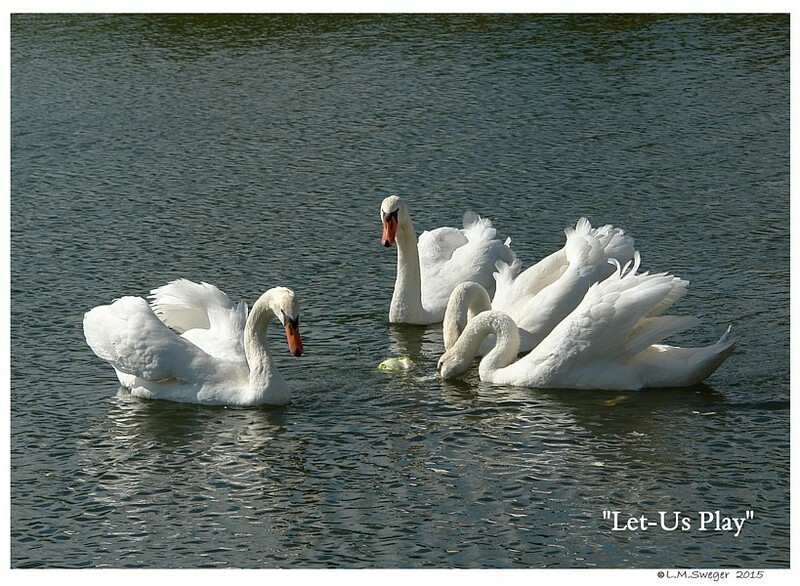 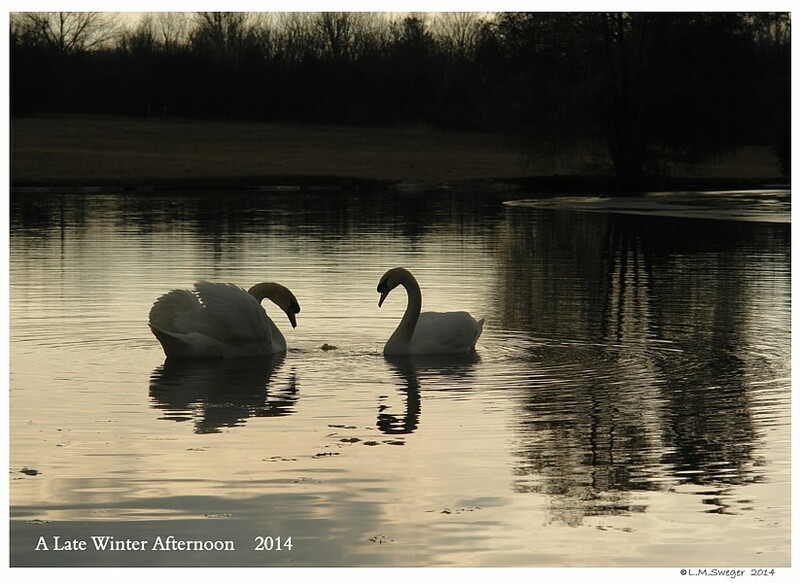 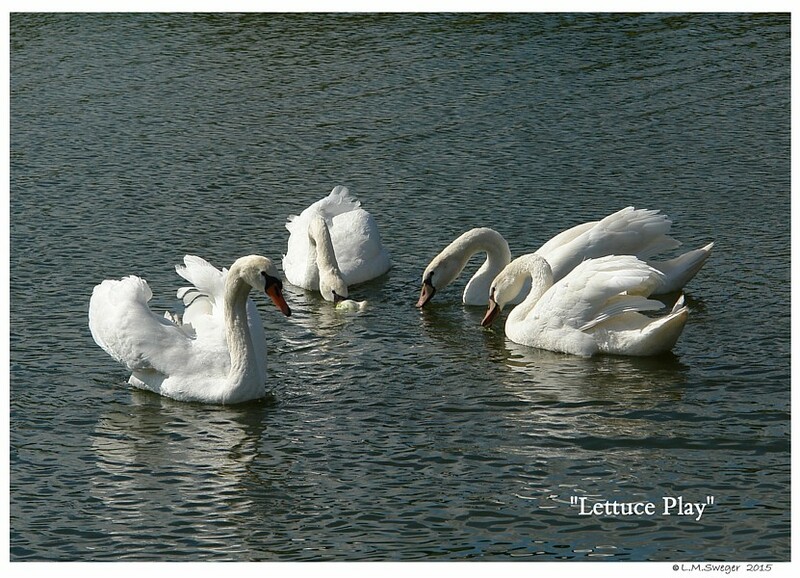 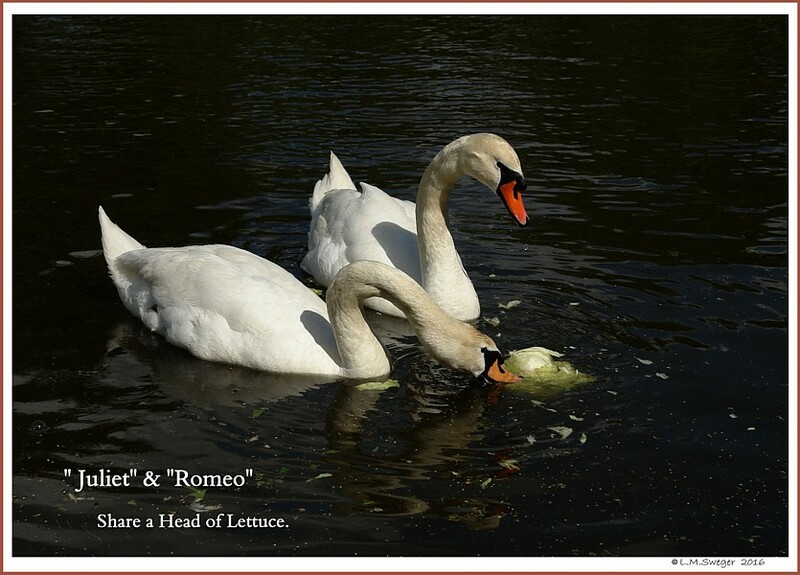 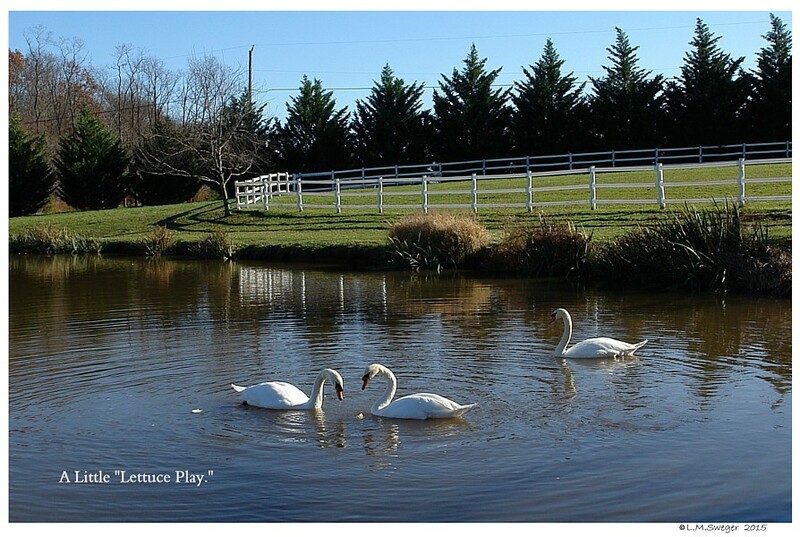 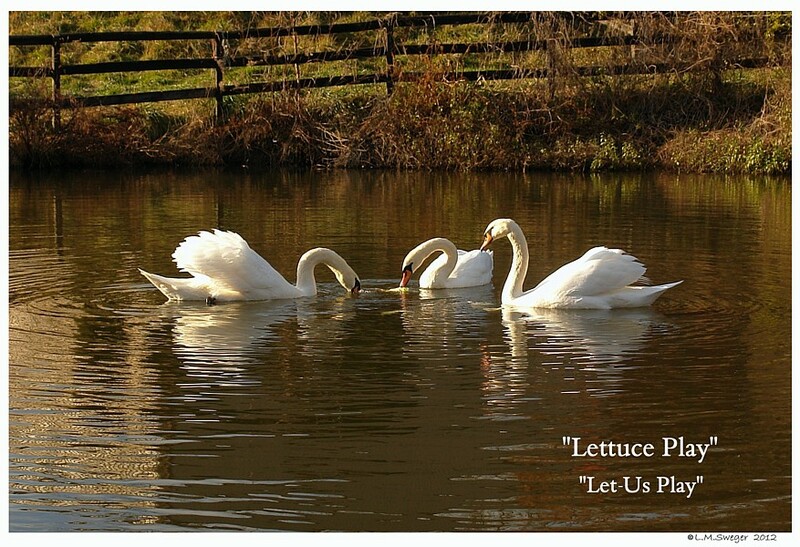 LETTUCE is a FAVORITE TREAT FOR YOUR SWANS. 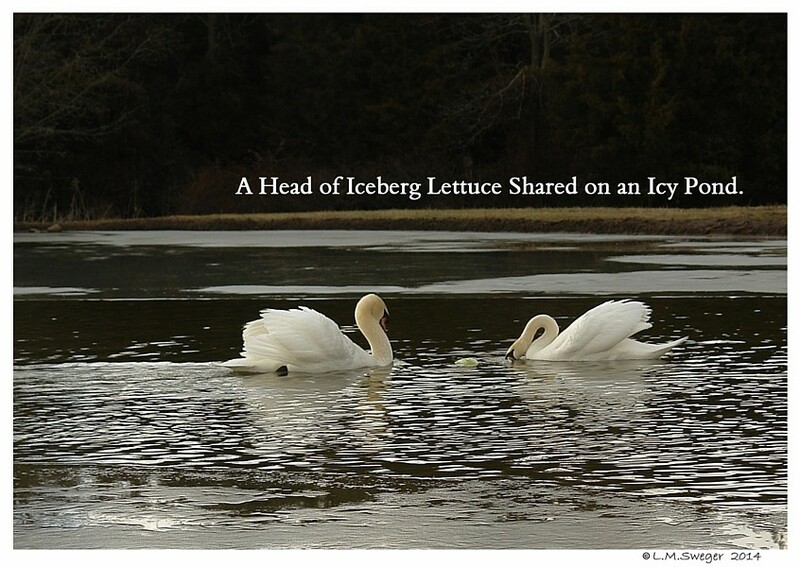 Bringing a Whole Head of Iceberg Lettuce to your Pond and Tossing it into the Water provides your Swans with a Chance to Share some FUN. 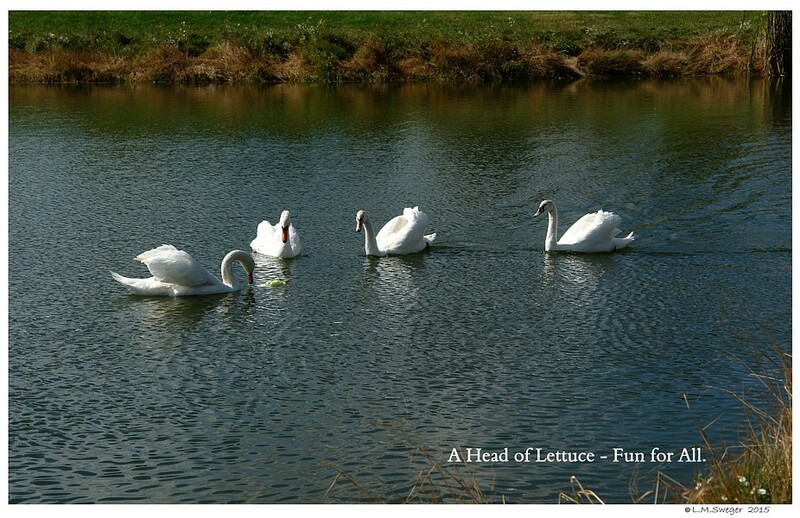 They will take turns Picking at the Head. 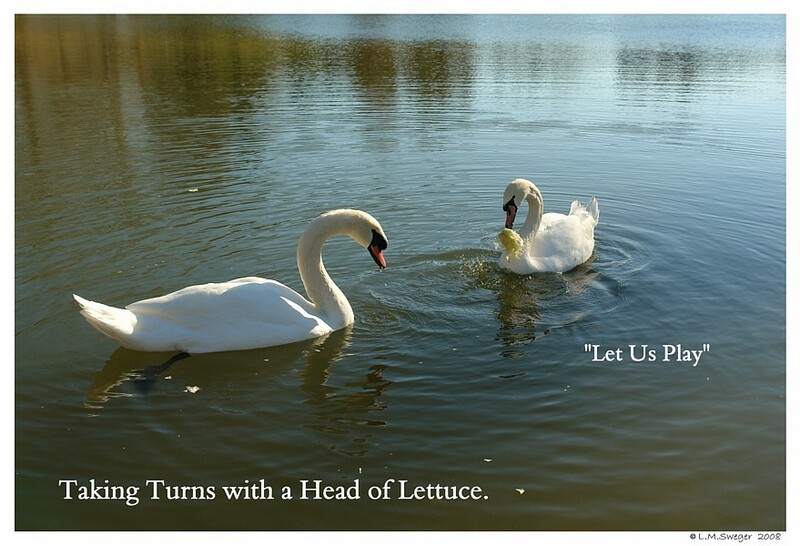 Often with Vocal “Thank You” Snorts and Head Nodding. 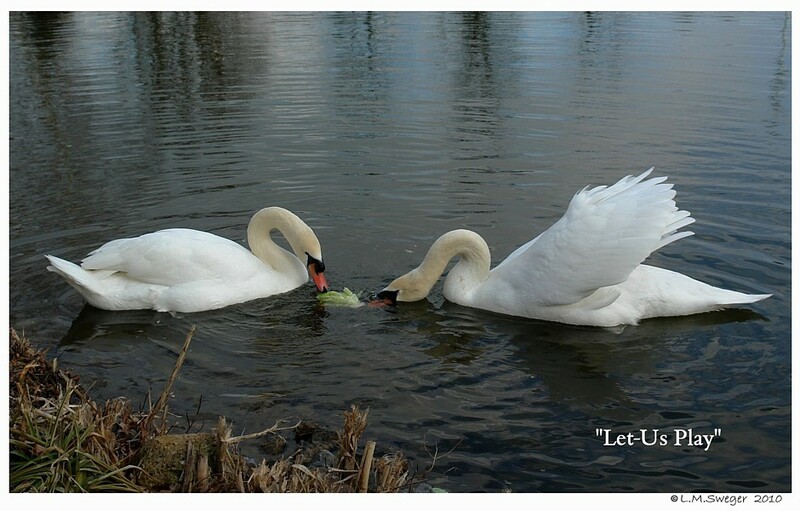 They seem to Enjoy the Taste and Texture of the Center Core. 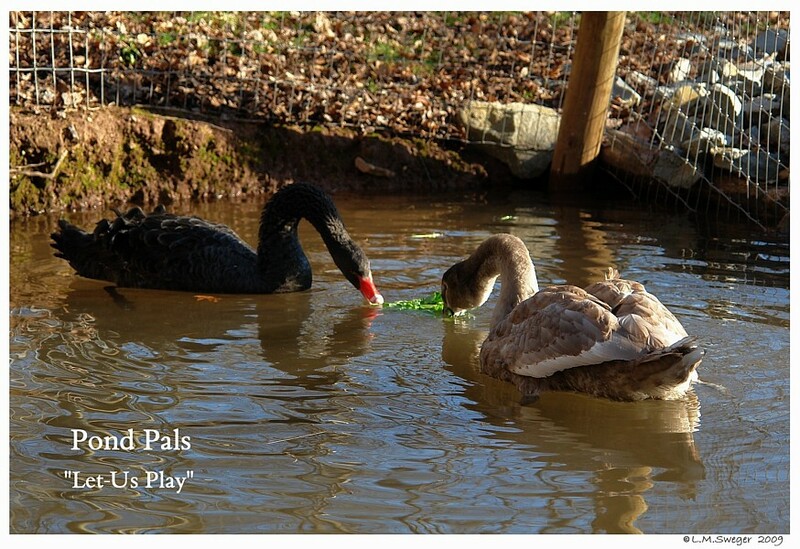 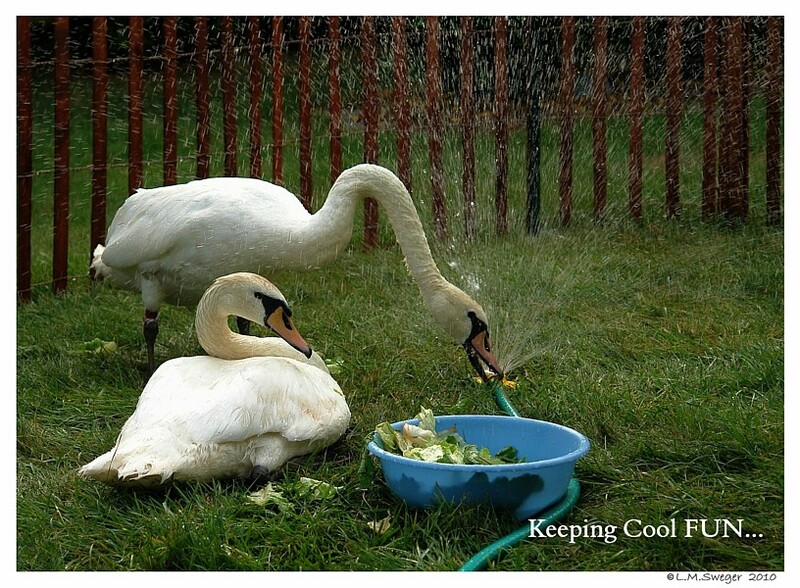 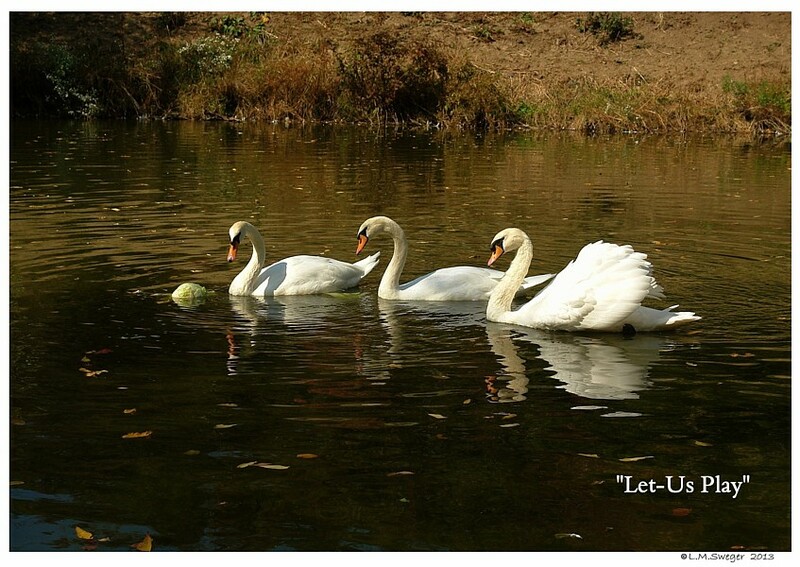 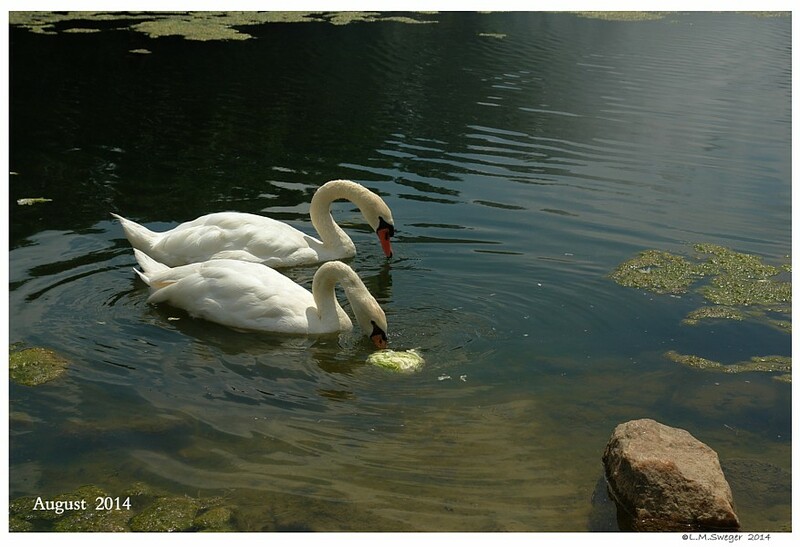 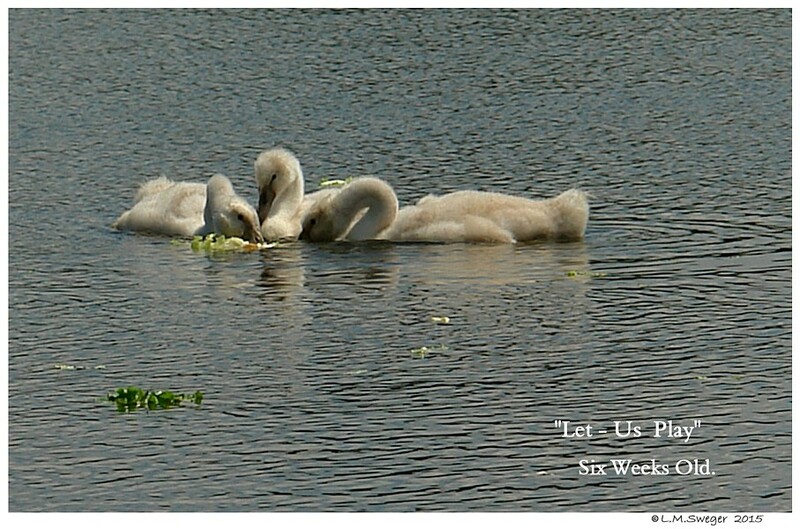 Swans will take turns “Bobbing” for Chunks of Lettuce. 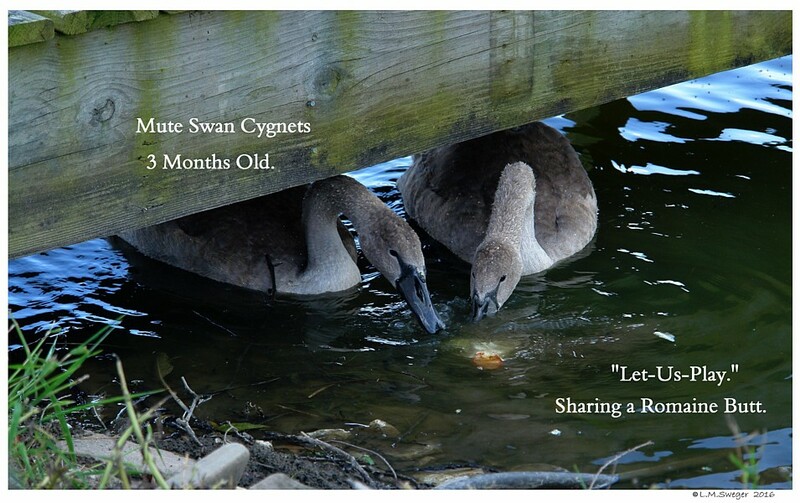 The “Dam” shares Lettuce with her Tiny Cygnet. 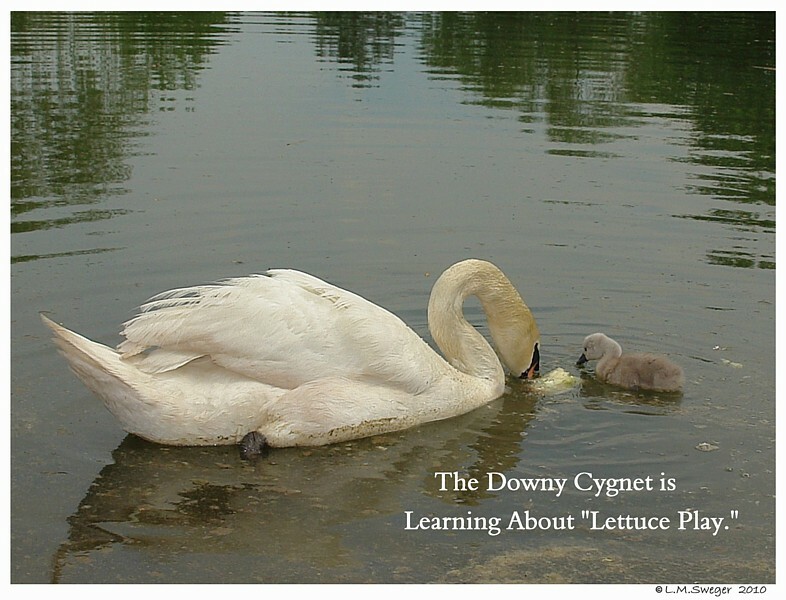 Young Cygnets Bite the Tender Lettuce leaves. 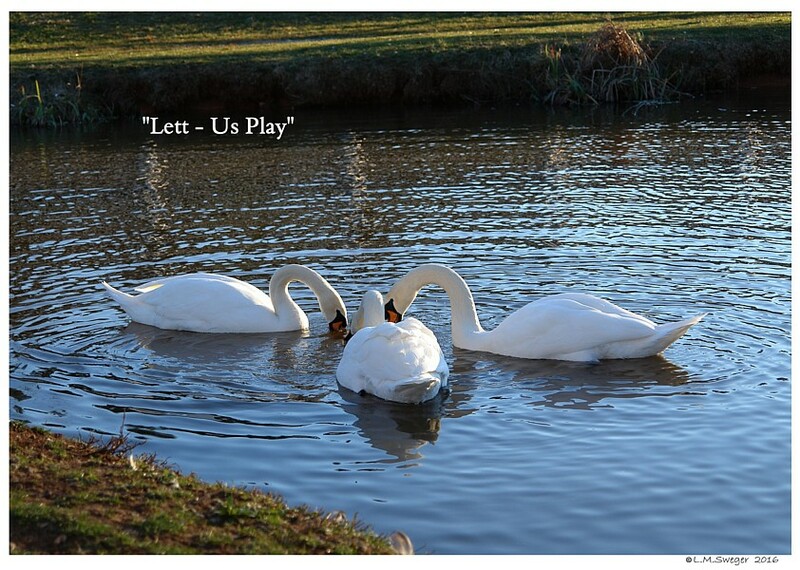 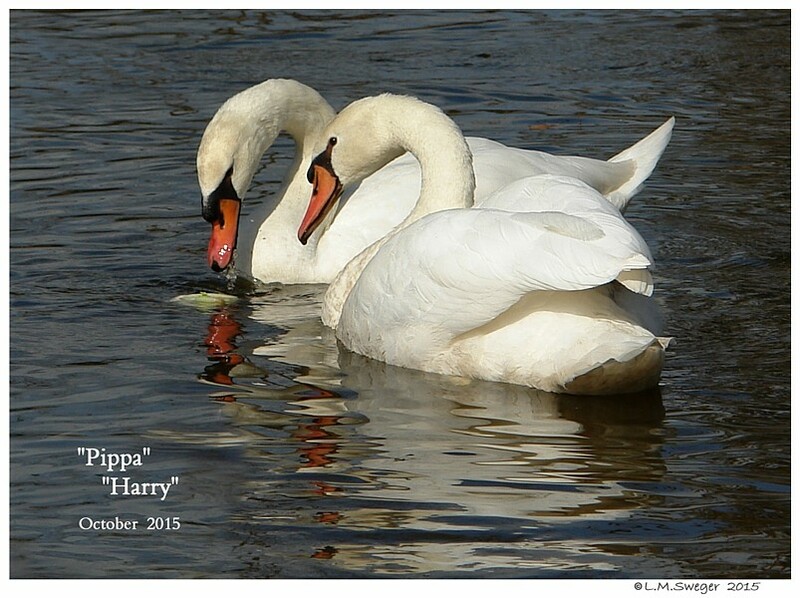 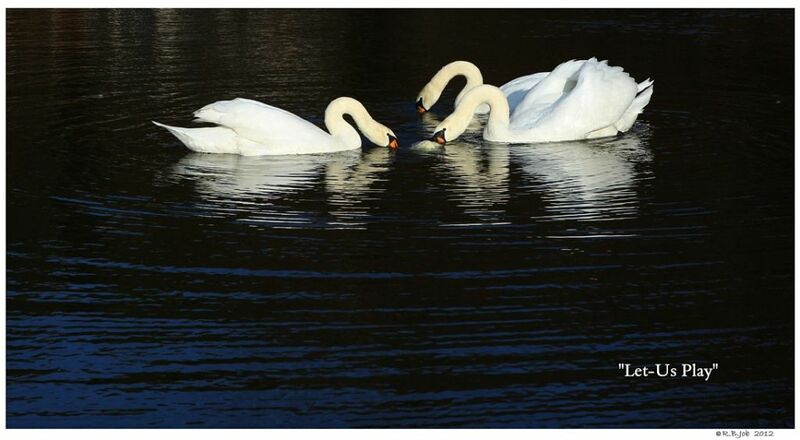 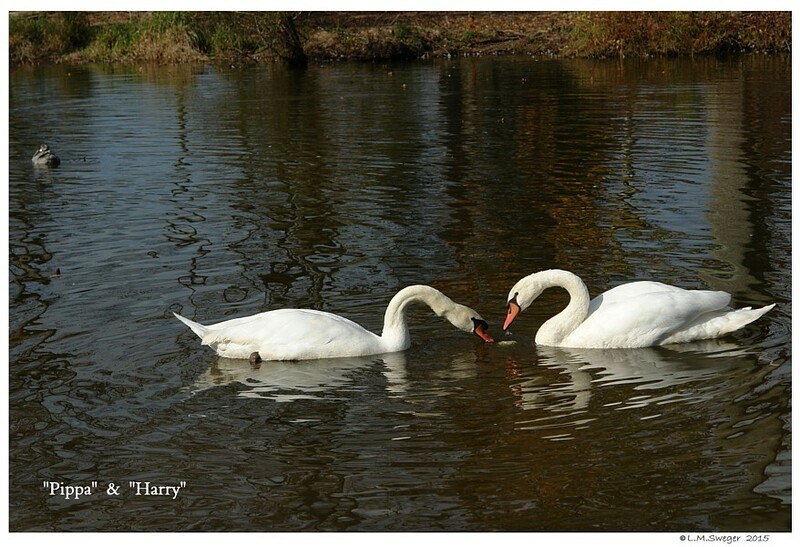 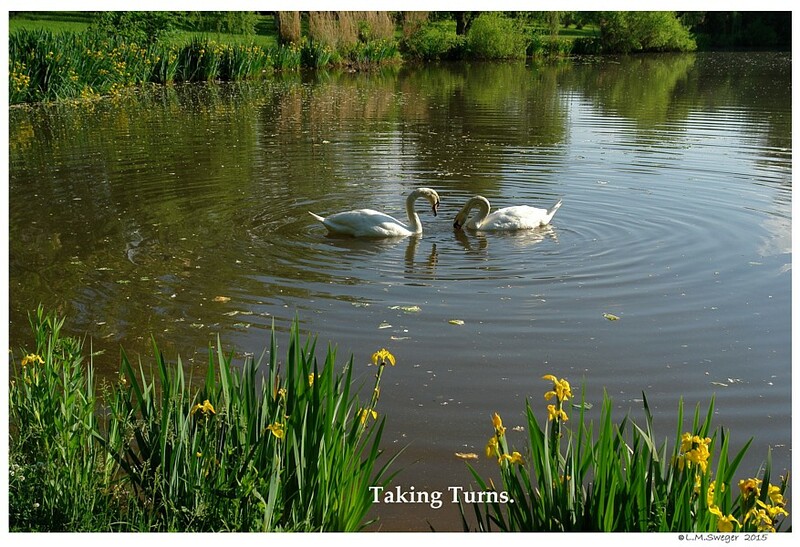 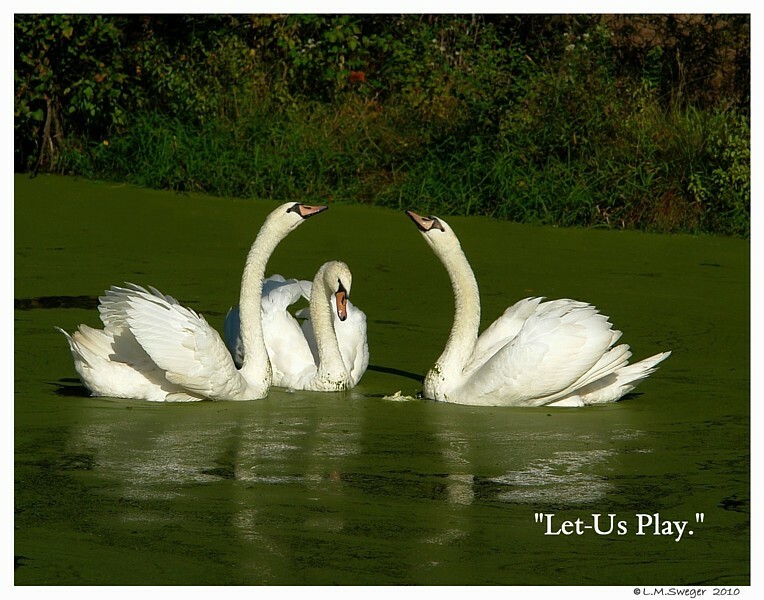 All Species of Swans will Play the Game. 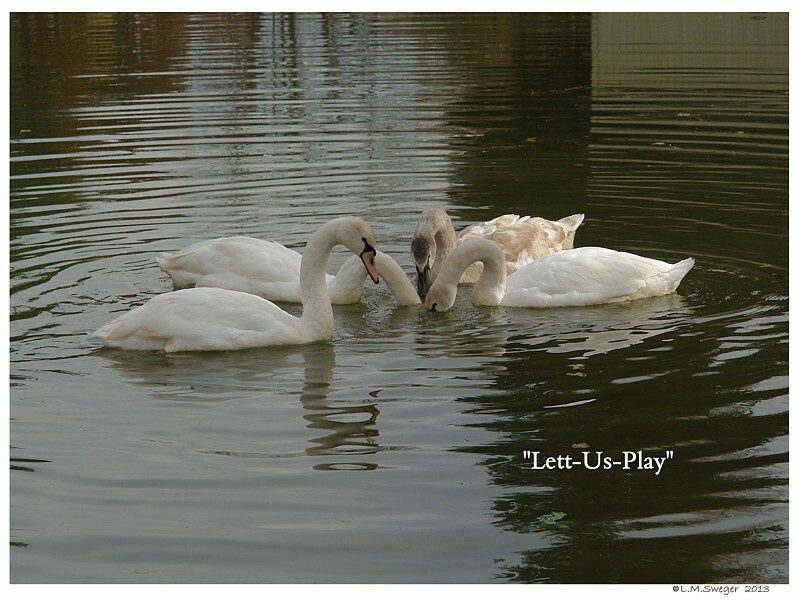 Play on a HOT Day – Play on a Fall Day. 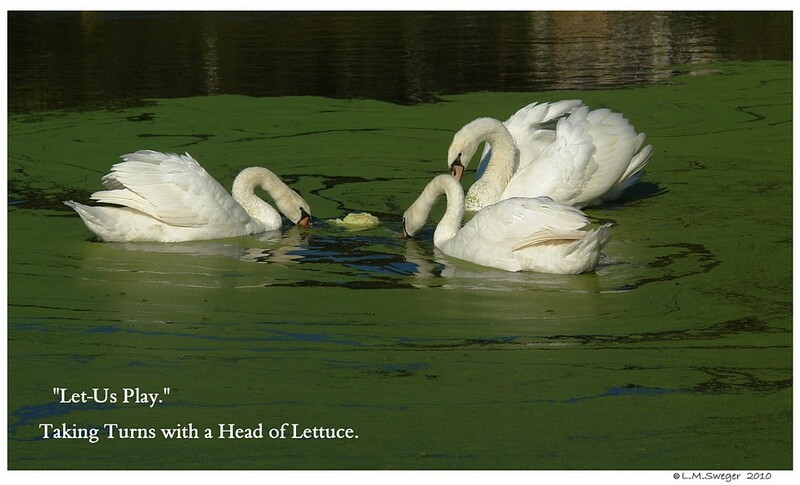 A Head of Lettuce in a Pond Full of Duckweed. 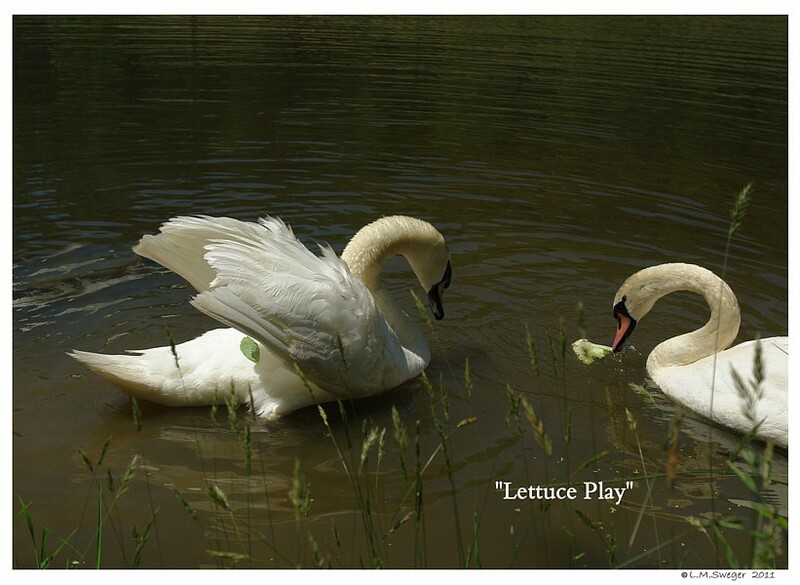 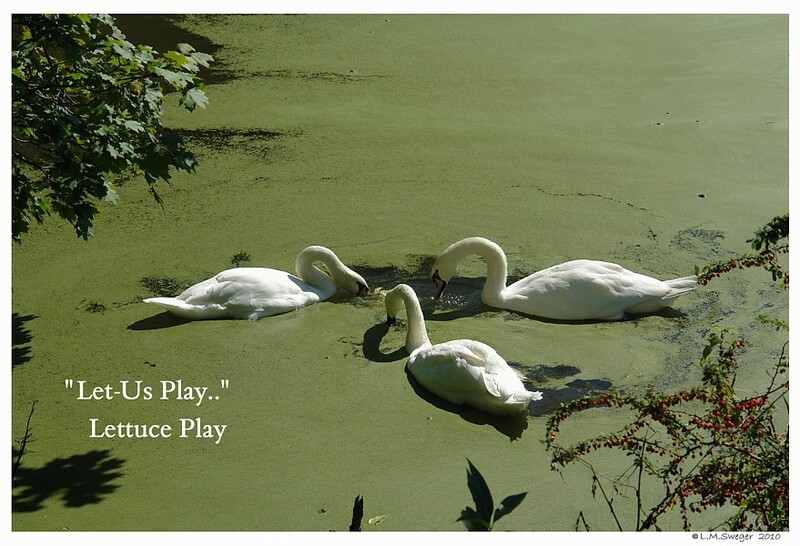 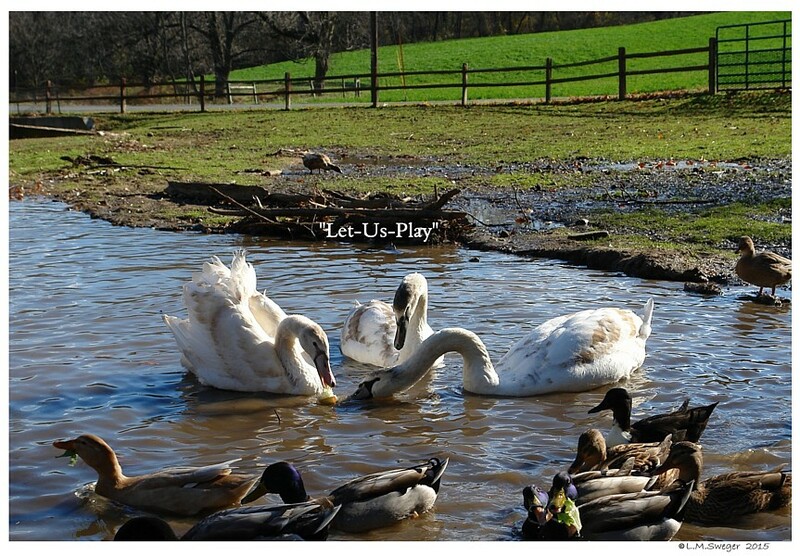 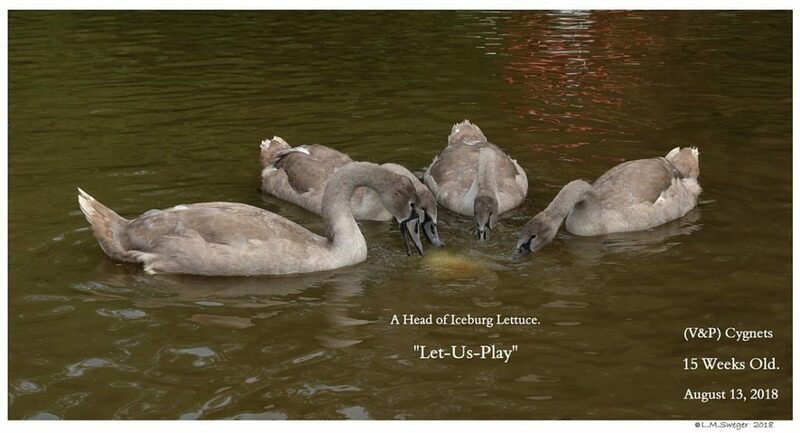 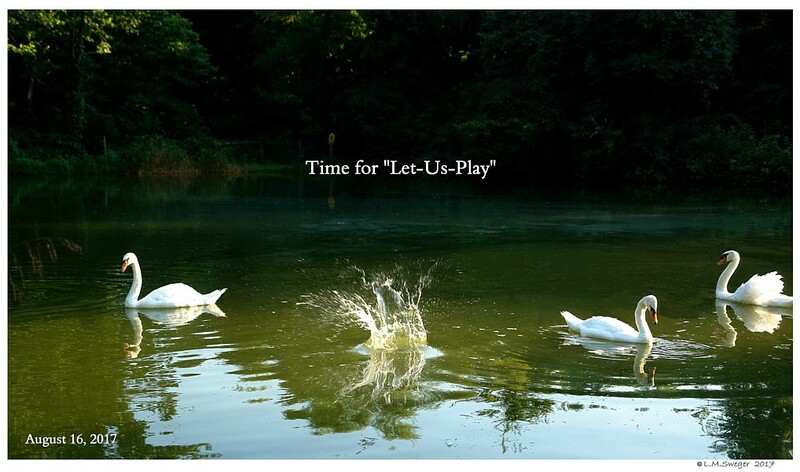 Lettuce Play – “Let-Us-Play” Fun for All. 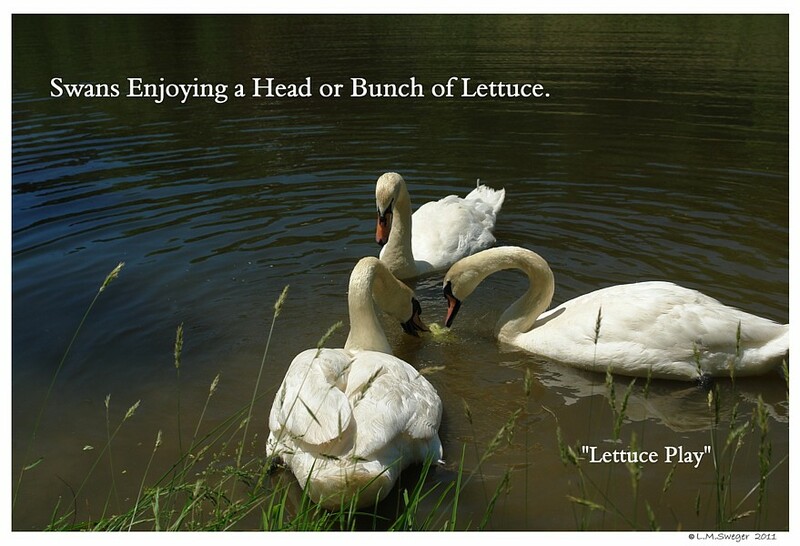 More Fun then a Basket of Lettuce. 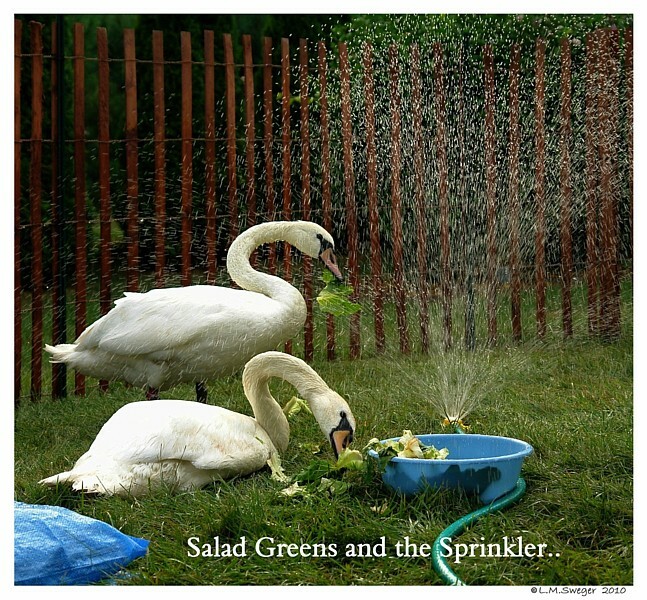 A Sprinkler and Lettuce in a Bowl on a Hot Summer Day.